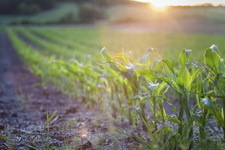 The UK House of Commons Science and Technology Committee released a report saying that current EU regulations that prevent GM crop adoption in the UK are not fit for purpose and should be changed to a trait-based system for regulating biotech crops. According to Andrew Miller, Chair of the Committee, "Opposition to genetically modified crops in many European countries is based on values and politics, not science. The scientific evidence is clear that crops developed using genetic modification pose no more risk to humans, animals or the environment than equivalent crops developed using more ‘conventional' techniques." The report discusses three major flaws in the EU regulation on GM crops. Existing regulations are based on the assumption that GM crops pose more risk than crops developed through other techniques. This approach focuses much on how the product is made, and not the product itself. The current system highlights the potential risks of GM products and fails to balance these with the possible benefits to farmers, consumers, and the environment. Current regulations prevent EU states to make their own decisions about whether to allow or disallow GM crop adoption. This encourages the anti-GM member states to dispute the science behind the technology, and exaggerate uncertainty. In conclusion, the Committee said that a precautionary principle stated in EU law is fit only for instances where scientific evidence is insufficient, inconclusive or uncertain. Read the report at the UK Parliament website.